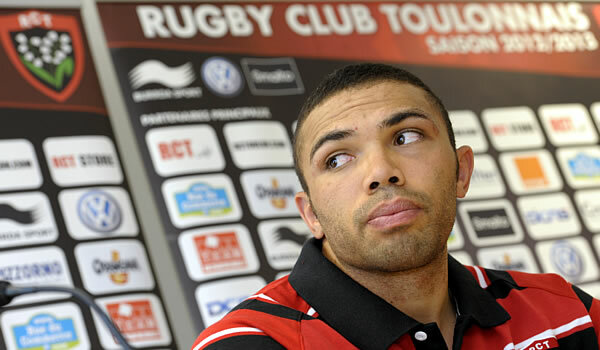 Toulon’s Springbok winger Bryan Habana will be out of rugby for two months after he sustained a thigh muscle injury in the Heineken Cup match against Exeter last weekend. Toulon coach Bernard Laporte confirmed the news that Habana will miss the next two months of rugby after making his Heineken Cup debut on the weekend and that he needs to have an operation. The Springbok flyer was forced off the field in the 37th minute of the match after pulling up sharply as he tried to accelerate. Laporte said that Habana will go under the knife next week to repair the damage done to the muscle and would be out for at least two months. That means he will miss the return match with Exeter in Toulon this weekend and the Top-14 games against Montpellier and Racing Metro.